Many homeowners don’t realize the importance of getting a storm door for your home. They offer many benefits that are often overlooked. With many different styles and colors available, there’s definitely something that will look great in your home. 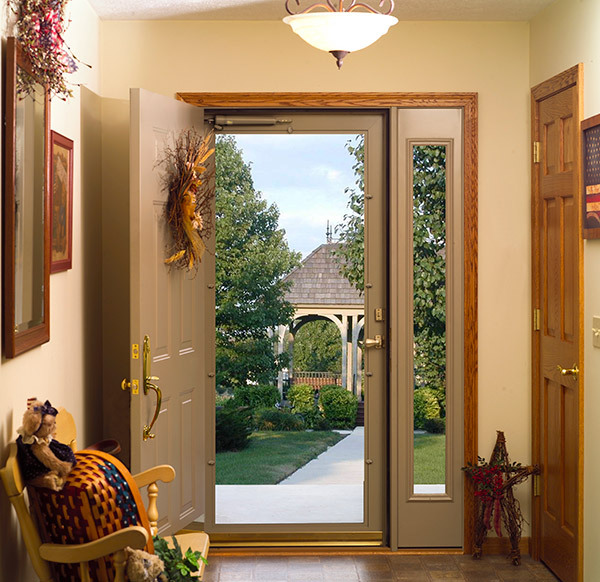 The main purpose for a storm door is to protect your entry door from the elements. Even if you have a durable steel or fiberglass entry door, it doesn’t hurt to have a little extra protection and that’s just what you’ll get with a storm door. Storm doors are installed on the outside of your door and shield it from rain, snow, hail and debris blown by heavy wind. 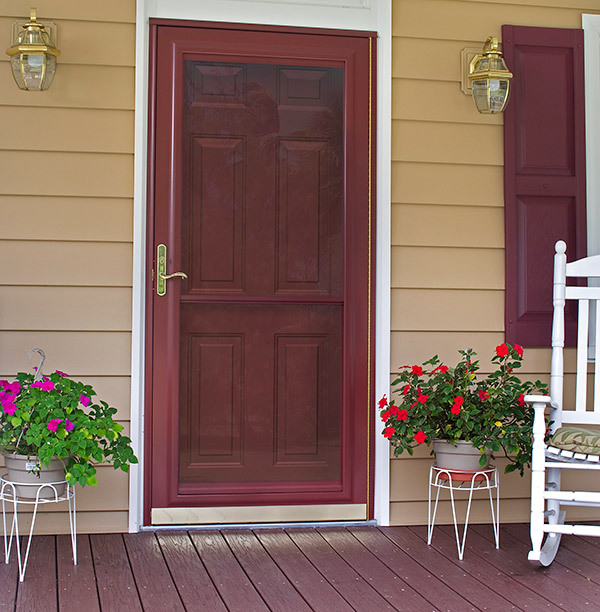 This will help preserve your entry door and keep it looking great for years to come. What about your storm door? Won’t it look bad from facing the harsh weather of Madison? When you choose Feldco, you’re getting a storm door that’s made out of durable aluminum. This means it won’t dent or break when it’s up against Madison’s harsh elements. By being installed on the outside of your entry door, our storm doors also create a more energy efficient entryway. This is because the storm door adds another barrier that drafts have to pass through to get into your home. Same can be said about your heated and cooled air trying to get out of your house. You’ll feel a difference in how comfortable your home is almost immediately. Not only will it require less effort to control your home’s temperature, but you’ll end up saving money on your energy bills. This is because your furnace and air conditioner will require less power to reach your desired temperature. There are many different styles of storm doors available so there’s definitely a style that fits your needs. For starters we offer three different glass sizes: full view, mid view and high view. Full view has a piece of glass that makes up the entire storm door, mid views are 1/2 the size of the door and high view is 1/3 the size of the door. We also offer retractable screen storm doors. These are storm doors with screens that can be retracted and replaced with glass. It’s perfect for Madison where there’s a distinct difference in temperature from summer to winter. Another great feature offered by Feldco is the metal mesh screen. These are tight woven, metal screens that won’t rip or tear easily. It’s perfect for homes that have pets with sharp claws or young children with small hands. The installation of your storm door plays a big role in how good it looks and how well it performs. That’s why you should trust Feldco with the installation of your new storm door. Not only are all of our products high quality and affordable, but they’re all installed by factory trained and certified professionals. Don’t wait, get a free quote now and get started on your replacement storm door project. You can rest easy knowing you’re in good hands with Feldco.